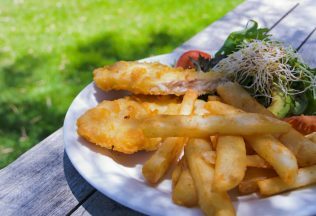 Fish and chip shops are struggling to keep up as Australians embrace healthy eating says an IBISWorld analyst report. According to the report written by Bao Vuong, fish and chip shops have struggled to shake the perception that they are an unhealthy option despite attempts to offer healthier foods and change frying methods. “Traditional fish and chip shop’s offer consumers a high-fat menu, rich in salt and sugar,” Vuong said. IBISWorld said fast food options better aligned with health were taking the business fish and chip shops are losing. It is expected the sandwich shop industry will grow at an annualised 3.0 per cent over the five years through 2017-18 to $2.1 billion. “To take advantage of rising health consciousness, many sandwich shop operators have marketed the freshness and nutritional content of their menu items,” Vuong said. “For example, Subway has promoted the nutritional breakdown of its menu, and advertised its line of sandwich meal options with six grams of fat or less. How can fish and chip shops save themselves? Vuong suggests fish and chip owners embrace the healthy eating trend and consider using and promoting the use of air fryers that can provide a healthier cooking method. “To better compete with healthier fast food operators like sandwich shops, fish and chip shops will have to do more to inform consumers that enjoying fish and chips doesn’t necessarily have to be a guilty pleasure, as alternative fryers can produce meals that are significantly healthier than the traditional deep-fried fare,” Vuong said.